Since 2015, West Virginia lawmakers have made civil justice reform a key priority, enacting several pieces of affirmative legislation. Once a perennial Judicial Hellhole, the state has seen its status improve, as it dropped from the Hellholes list to the Watch List. While the hope was last year would be the last time the jurisdiction would be featured in the report, the Supreme Court of Appeals of West Virginia plunged into chaos in 2018. If there was ever a question of whether West Virginia needs an intermediate appellate court, like the vast majority of other states, that was resolved this year, as the state’s high court plunged into turmoil leaving the availability of appellate review uncertain. impeachment of all sitting members of the state’s highest court. West Virginia’s Supreme Court of Appeals is comprised of five justices, each elected to 12-year terms. The justices were charged with “unnecessary and lavish” spending of taxpayer dollars, maladministration, corruption and neglect of duty. The Court began to unravel in late June when Justice Allen Loughry was suspended without pay following a federal indictment that includes charges that he spent $363,000 to remodel his office, placed a historic desk in his home, and used a state vehicle for personal use. In October, he was convicted of 11 of 22 federal charges against him. Justice Loughry resigned in November, one day before his impeachment trial was scheduled to begin. Justice Menis Ketchum resigned from the court in late July, and subsequently plead guilty to a single count of wire fraud relating to his private use of state vehicles, following a federal investigation. Justice Robin Jean Davis resigned following the Houses’ vote of impeachment in mid-August, stating that she wanted to “free up her seat” for the upcoming elections. The Senate rejected a single Article of Impeachment against Justice Beth Walker by a 32-1 vote in early October, issuing instead a reprimand. Soon after, the Supreme Court of Appeals, temporarily populated with lower court judges, blocked the impeachment trial of Chief Justice Margaret Workman, finding the Senate had not provided the justice with due process and had improperly considered issues that only the judiciary can oversee. Later that month, Justice Walker was selected by the other members of the court as its new chief justice. Meanwhile, Governor Jim Justice appointed U.S. Representative Evan Jenkins, and previous House of Delegates Speaker Tim Armstead, to serve as interim Justices on the West Virginia Supreme Court of Appeals in late August, filling the vacancies created by the resignation of Justices Ketchum and Davis. Jenkins and Armstead were formally elected to the court by voters in the 2018 November election. The future is uncertain for the Supreme Court of Appeals, as the composition of the court will be dramatically different in 2019. 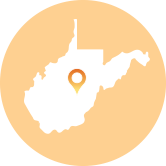 West Virginia is one of only nine states in the country that does not have an intermediate appellate court. Therefore, the West Virginia Supreme Court of Appeals is the only appellate court in the state, making it that much more important for the court to provide balance and fairness. Now some of the justices that opposed the change, including Justices Davis and Ketchum and are gone, and Justice Workman is hanging on by a thread. After the events of 2018, the need for an intermediate appellate court has never been so obvious. Before it fell into disarray, the West Virginia Supreme Court of Appeals issued a disappointing class certification decision that rejects U.S. Supreme Court precedent and encourages plaintiffs’ lawyers from all over the country to flock to West Virginia courts to file class action lawsuits. Once a class is certified, a settlement usually follows because the risks for businesses are too great to take the case to trial, making the issue of class certification vital. The court has adopted a broad interpretation of class certification rules, signaling almost all classes will be certified by West Virginia courts. The high court’s proclivity for class certification leniency first began in 2003, when the court held that a common issue of law or fact in a case is often enough to certify it as class action. The standard for class certification is a “rubber stamp,” according to lawyers representing defendants in West Virginia courts. Over the last decade, the U.S. Supreme Court has tightened the standard for class certification in federal courts. a case involving whether U-Haul failed to disclose to customers an “environmental fee” that funded the company’s sustainability program, the court found that the threshold to show commonality is “not high,” and a common nucleus of operative fact or law is sufficient. U-Haul had argued that individual issues outweighed collective ones because evidence needed to show reliance, causation, and damages would vary from person to person. Defense lawyers say the state’s “hyper-liberal standard for certification makes us an outlier in comparison to how class certification is dealt with in the federal courts and in other state courts.” The decision increases the likelihood that businesses will face meritless class action lawsuits in West Virginia courts. In addition to the legislature failing to establish an intermediate appellate court, two other long-needed legal reform proposals did not cross finish line in the 2018 session. Legislation introduced, but not enacted, included a commonsense proposal that would have allowed jurors in West Virginia to learn whether or not people involved in car accidents were wearing their seatbelts. West Virginia law currently allows the court to reduce a plaintiff ‘s damages by no more than 5% for not wearing a seatbelt, even though wearing a seatbelt is often the difference between those who live and survive a car accident and is required by law. Keeping this law in place blindfolds the jury from fairly considering irresponsible behavior, as it would in any other personal injury case. West Virginia has also failed to address its status as an outlier in allowing plaintiffs who believe they were exposed to a hazardous substance to collect cash awards for medical monitoring without a present physical injury. Legislation is needed to rein in a 1999 West Virginia Supreme Court of Appeals decision that allows such claims even if the amount of exposure to a toxic substance is insufficient to cause injury and regardless of whether there is a medical benefit to early detection of a disease. While some other states allow claims seeking medical monitoring, the requirements for doing so are tightly circumscribed and there are safeguards requiring any money spent to actually go toward medical tests. In West Virginia, plaintiffs can take the quick cash. The West Virginia Senate unanimously passed legislation to bring West Virginia’s medical monitoring law in line with other states in its 2017 session, but the proposal was not considered in 2018. While several other legal reform measures failed in the 2018 session, the West Virginia legislature deserves recognition for adopting a law that should curb litigation tourism to the Mountain State. The legislature amended the state’s venue statute to provide that “a nonresident of the state may not bring an action in a court of this state unless all or a substantial part of the acts or omissions giving rise to the claim asserted occurred in this state.” In addition, the law provides that where a case includes multiple plaintiffs, “each plaintiff must independently establish proper venue.” This provision prevents plaintiffs’ lawyers from circumventing the venue law by naming one West Virginia resident as a plaintiff and joining scores of people who do not live in West Virginia and whose claims have no connection to the state. The legislation, which was signed into law by Governor Jim Justice (R), applies to all civil actions filed on or after July 1, 2018. A previous attempt to address forum shopping was short lived, however, as the West Virginia Supreme Court of Appeals invalidated the law. This time, however, the law is further supported by a bevy of recent U.S. Supreme Court rulings finding it is perfectly proper, if not constitutionally required, to consider whether the person filing a lawsuit in West Virginia is a resident of the state or has brought a claim there seeking favorable treatment. The West Virginia Supreme Court of Appeals issued a long-awaited opinion rejecting “innovator liability” in May 2017. As described earlier in this report, innovator liability seeks to hold brand name drug manufacturers liable for harm caused by products manufactured by generic companies. It has been pushed by plaintiffs’ lawyers around the country who seek to turn centuries of settled tort law on its head, subjecting original product designers or manufacturers to liability not only for harm allegedly caused by the products they made or sold, but also for harm from similar products made or sold by their competitors. In addition, as ATRA argued in an amicus brief, adopting innovator liability would unfairly subject brand name companies to unpredictable and potentially immense liability, stifling innovation and undermining public health.